What are Power Generation and Transformers? Transformers are static devices that are used for transforming electrical energy from one circuit to another, taking the help of mutual induction between two windings. The electricity transformers play a major role in transforming data from one circuit to another without having to change its frequency. However, they may be in other voltage level. A power generator on the other hand plays a major role in converting mechanical energy into electrical energy. These devices are mostly used in power production & energy generation. There are a wide range of devices that have been categorized power generation and transformers. Power generation equipment are normally used by power production companies. 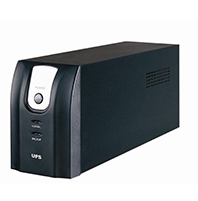 UPS (Uninterruptable Power Supply) is a device which enables a computer to continue functioning for at least a short span of time when primary source of power is lost. Home UPS also protects the computer from power surges. The batteries or flywheel of an UPS system stores energy in order to use it in case of utility failure. The power is routed through the power circuit around the rectifier and inverter and runs the IT load on the incoming power generator. Voltage Stabilizers are devises which help users to stabilize their voltage before feeding it to a connected device. A stabilizer is used for detecting fluctuations in utility and ensures internal regulation to offer a consistent range of output voltage. This is done using an electronic circuitry that alters the required taps of an auto transformer which is inbuilt using high quality electromagnetic relays for producing desirable voltage. In case the voltage which the voltage which has to be offered isn’t within the range, a mechanism is used for switching the necessary transformer tap. This brings the voltage supply within a secure range. 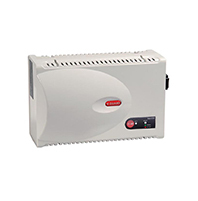 Inverters are a vital source of power for a wide range of home based equipment such as ACs, fans, refrigerators etc. Battery is one of the vital parts of an inverter. The life and performance of an inverter to a great extent depends on its battery. Inverter batteries are of different types. 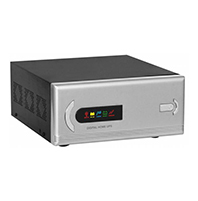 Usually, power inverters are operated with the help of high power lead acid batteries. Lead acid batteries are categorized into different types based on their design, application, technology etc. Inverters can also be operated using maintenance free batteries. They however, have a limited durability. 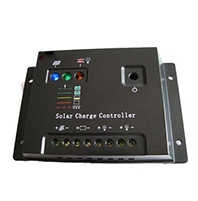 A solar charger controller is a type of voltage and current regulator which ensures that batteries do not get overcharged. It helps in regulating current as well as voltage that come from solar panels which go within the battery. Majority of the 12 volt panels which you would come across offer around 16-20 volts. Therefore, there is no rule that the batteries will be damaged due to overcharging. Most of the batteries require around 14-14.5 volts in order to get fully charged. Charge controllers are usually of three types- 1 or 2 stage controls, 3 stage and PWM & maximum power point tracking(MPPT).